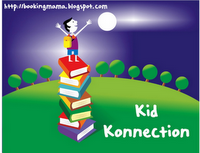 This book is a celebration of a child's imagination. Nalah is a girl who loves wild animals. 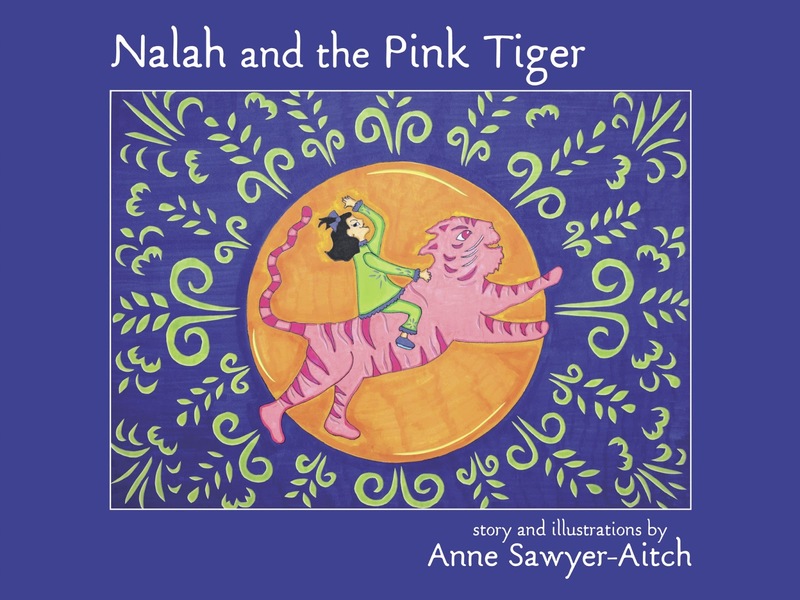 Her imagination is so vivid that she explores it throughout her day and in every room of her house to the point where her family becomes frustrated with her, but this does not stop Nalah, especially when she discovers a pink tiger at the zoo. I love when she says, "My mom says I have a big imagination. I think that means she can't see the animals." Sometimes as adults we run around getting things done and we forget how important imaginative play is for child development. For parents of young children, this book can be a good reminder to play along with our child's imaginary friends rather than ignore it. The author has also illustrated this book, which my son and I think is one of the most colorful children's book we've ever read. The illustrations really make this book special. The author include a note at the end of the book explaining how she has created these illustrations called "illuminated illustrations" that involve cut-away designs, layering, and backlighting. What a talented author! 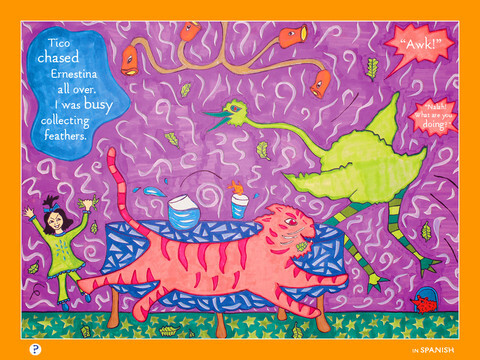 We highly recommend this beautiful and funny book about a spirited heroine whose imagination runs very wild! Anne Sawyer-Aitch (pronounced like the letter “H”) is a puppeteer and stilt-walker. 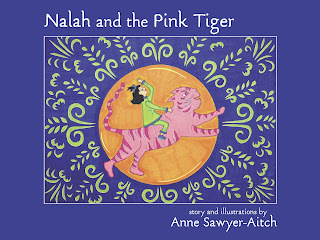 Nalah and the Pink Tiger is her first children’s book. She has worked for years with Minneapolis-based groups In the Heart of the Beast Puppet and Mask Theatre and the all-women’s stilting troupe Chicks on Sticks. Anne likes to create all kinds of puppets: parade floats, giant stilt puppets, and intricate color shadow shows. Currently, she is performing her Nalah and the Pink Tiger puppet show in English and Spanish around MN. 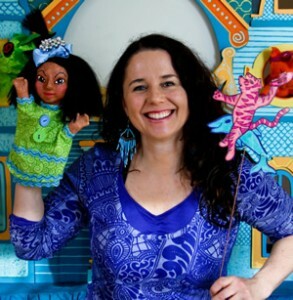 She is a recipient of awards from the Jim Henson Foundation, the Puppeteers of America, the MN State Arts Board, and the Metropolitan Regional Arts Council. She lives in Minneapolis with her computer genius husband and a pack of imaginary dogs. Disclosure: Thanks to the publisher and Pump Up Your Book Promotions for sending us this book for review. We were not compensated in any other way, nor told how to rate or review this product.